Dedicated To The Best Movie Ever Made On Earth! This site was created on February 18th 1998 and is updated on a regular basis. This site is also very proud to be Canadian! This page is maintained by Melissa!! to learn more about this amazing discovery that will change the way you feel! If you want more information, you can e-mail me! I just won this award for being a cool web page! Yay! This page was created for and it is best viewed with Internet Explorer. People using Netscape see lines and stuff. I AM GETTING MARRIED!!! TO MY SWEET BOYFRIEND, OR SHALL I SAY, FIANCEE, PERRY WHO I WILL LOVE AND CHERISH MORE THAN ANYONE FOREVER AND EVER AND ALWAYS. Get your favorites! GO NOW TO CDNOW! Ok....This may seem like very big writing! And I am so sorry for those on Netscape. In Explorer the words move. And they are smaller. So...ya...Netscape is not on my good side. PLEASE SIGN MY TITANIC GUESTBOOK! 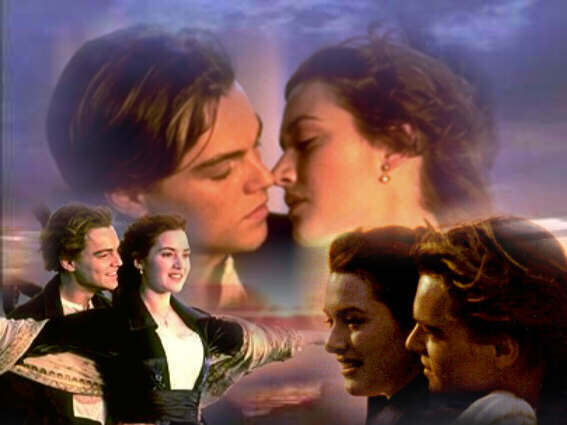 And tell me what you think of Titanic and my site! YAY! I love that movie! For more webrings, go to my webrings page! WOW! 14 Nominations and 11 won! Go to the oscar page and see my comments and the awards! I have now made up my own little oscars. They are called the Golden Titanic LifeSaver Awards! There will be Golden LifeSavers given out to the winning scenes, characters and actions in the movie. Click here or below and vote for the nominees. Your favorites could win! This was the best movie I have ever seen. I've seen it four times and I cried so hard every time I went. But I'd like to state clearly that I didn't go just to see Leo. (Even though it was one of the reasons.) I went for the love story and the tragedy of the Titanic. I've never made a website before. This is my first one and I want it to be good. On this web page, I am going to (try to) put pictures up and maybe some information and most of the pictures/collages I make myself. 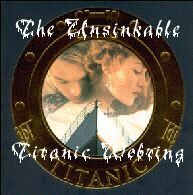 (Of course I get the Titanic pictures from other sources) I am Presently working on them and setting up the webpage. I'd like to say hi to my sweet sweet fiancee Perry (who is so special to me!) and my best friend Tara for loving the movie with me. Enjoy! 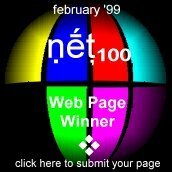 My site has won a few awards! If you want to see which awards I have won, you can click here to view! Disclaimer: All the pictures on any page on my site have been taken from various sources and are copyrighted to the owners. Almost all of the pictures are copyrighted to Paramount Pictures and Twentieth Century Fox. Others to Sanrio. No infringement was intentional. This site is purely for fan enjoyment.